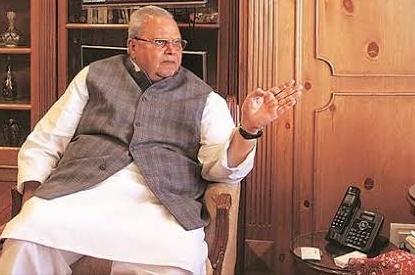 New Delhi: The Government of India has awarded the highest gallantry award, Param Vir Chakra, to the fax machine of J&K Governor Satya Pal Malik, “which gave its life at the crucial moment to thwart the advancing Pakistan sponsored forces of NC, PDP and Congress”. This is the first time that the highest gallantry posthumous honour has been conferred on a non-human, non-military entity. Prime Minister Narendra Modi wrote on Twitter that the award to a non-military electronic machine was in the spirit of changing times, “in tune with Digital India and the nature of changed warfare tactics”. 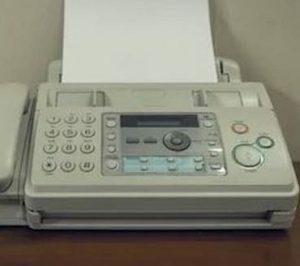 “The fax machine may be a dying technology but this machine gave its life to save the country from the enemy forces advancing in the garb of Congress party, NC and PDP to stake claim for government formation in J&K,” Modi tweeted. The fax machine had emerged as the central character that helped thwart the government formation moves in J&K. Ram Madhav, the General Secretary of the BJP said since the combined opposition’s move was aimed at scuttling BJP’s efforts to form a proxy government in J&K, “it was without any doubt anti-national”. “We hope that the fax machine at J&K Governor’s house will continue to inspire our Governors in other state’s as well,” Madhav told Dapaan.